Donors who contribute $100 or more annually to the University. 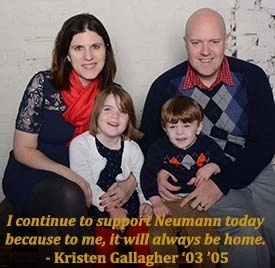 Donors who have supported Neumann University for the past 5 consecutive years or more. Benefactors who have made commitments to Neumann University’s future through bequests, charitable trusts, gift annuities and other planned giving opportunities.